These oat crackers are a great alternative to the typical low-fibre, high-GI cracker found at your average supermarket. They are full of oats, which are a great wholegrain source of soluble fibre, in the form of beta glucans. Soluble fibre is a type of fibre that forms gels with water. It helps bind up cholesterol in the digestive tract, so it can be excreted from the body via the stool. Soluble fibre also helps stabilise blood sugar levels, improve stool regularity and lower your risk of diseases such as heart disease and diabetes. 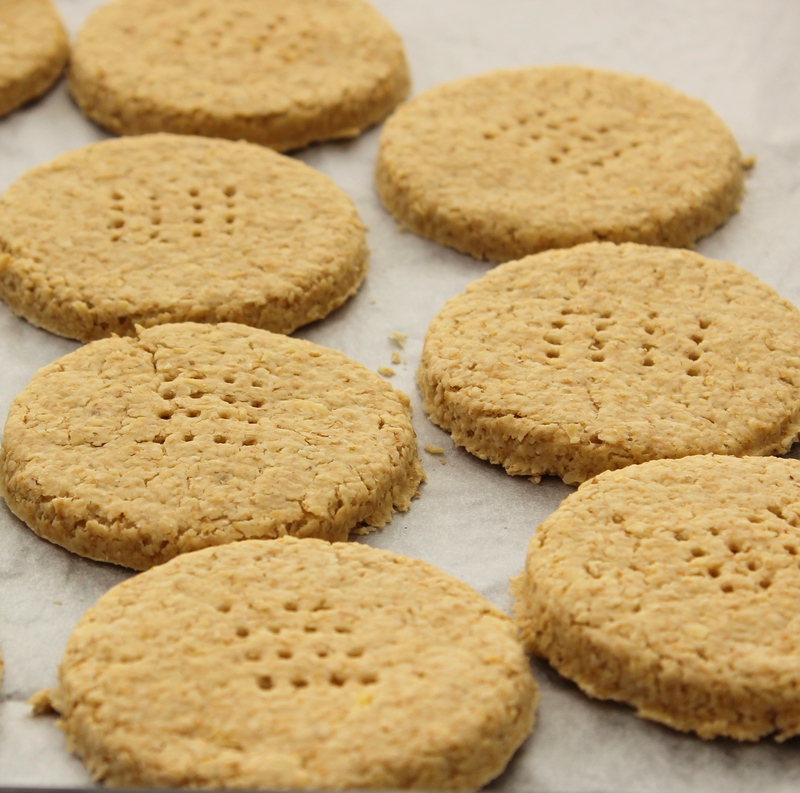 Try these delicious oat crackers on their own or topped with our yummy hummus. You can also top with the homemade guacamole. We like to cut them into circles, but you can shape into stars, squares or whatever shape you desire. If you prefer a crispier cracker, you may like to flip them over 2/3 of the way through the cooking time (around the 40 minute mark), to ensure the bottom side is cooked through as well. Place oatmeal and salt in mixing bowl. Cut butter into pieces and place in separate bowl. Pour water over butter and stir until butter has melted. Add butter mixture to oatmeal and mix to a dough. Turn onto a surface sprinkled with oatmeal and knead lightly until smooth. Roll out thinly into two 25cm rounds. Using a cookie cutter or upside down glass, cut the dough into small, cracker-sized rounds and place on greased baking trays. Bake in the preheated oven for 1 hour until crisp. Transfer to wire rack to cool. Store in an air-tight container.